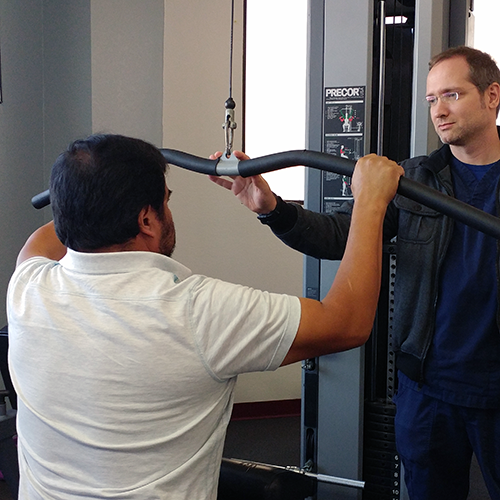 A strong manual therapy emphasis is placed on the patient's recovery whenever possible. Patients are worked with on a one-to-one basis and are always supervised for proper technique and progression. Factors contributing to their initial injury are also addressed (body mechanics, ergonomics, etc), to minimize the re-injury risk. The treatment of urinary incontinence using an internal EMG sensor to provide the patient visual feedback during their exercises amplifies the effectiveness of incontinence management.